Minister of Transportation and immediate past Governor of Rivers State Rt. Hon. Chibuike Rotimi Amaechi has again insisted that the Governor of Rivers State, Nyesom Wike has no concrete evidence to prove his deceitful worn-out allegations of corruption against him while he served as governor of the State. Amaechi maintained that he ran a transparent administration devoid of all the spurious acts and practices Wike has been attributing to him. While speaking to Traditional Rulers in Port Harcourt on Monday, Wike had lied that he has overwhelming evidence of Amaechi’s corrupt acts while he was governor of the State. However, the Minister has dismissed Wike’s claims as the same old, false, provocative rabble-rousing of a distinctly delusional mind. In a statement released by his Media Office Tuesday, Amaechi insists that Wike has been forging and contorting documents to defame, disparage and vilify him in his desperate failed bid to portray him as corrupt. “Wike must realize that every lie has an expiry date. 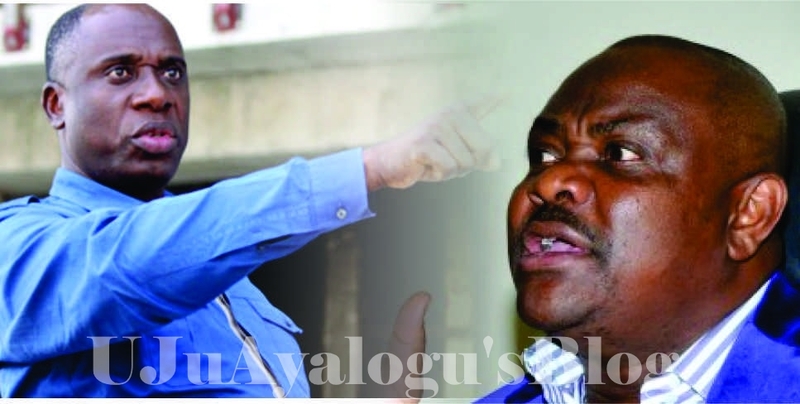 Rivers people are tired and sick of Wike’s fake stories of ‘Amaechi this, Amaechi that’, every day; rather the people want to know what happened to all the billions of naira Wike has collected from FAAC, Paris Club refund, internally generated revenue and the ones he borrowed,” the statement concluded.